- Research scientist in computer sciences (specialized in image processing) working at the CNRS Institute. - Head of the IMAGE team at the GREYC laboratory, Caen / France. - Leader/Main developer of the open-source projects CImg and G'MIC. Address : GREYC (UMR-CNRS 6072), IMAGE team, 6 Bd du Maréchal Juin, 14050 Caen Cedex / France. I am a permanent CNRS research scientist (a.k.a Chargé de Recherche), working in the IMAGE team at the GREYC Laboratory, in Caen / France. I'm particularly interested in PDE's and variational methods for processing multi-valued images in a local or non-local way. Check my list of publications and my online slides for more details about my research work. Since the 1st October 2017, I'm heading the IMAGE team at the GREYC Laboratory. I'm also the project leader of two nice open-source software/libraries : CImg (C++ Template Image Processing Library) and G'MIC (GREYC's Magic for Image Computing). I wrote and defended my PhD thesis in 2002, and my Habilitation thesis in 2018. 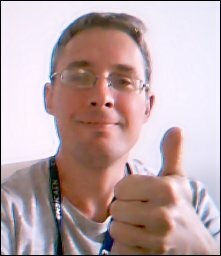 Short Bio: I am a former student of ESSI, an engineer school in Sophia-Antipolis/France, specialized in computer sciences (now called PolyTech'Nice). Since 1999, I have been interested in applied mathematics for image processing, and their numerous applications. I wrote my PhD thesis on Multivalued Image Regularization with PDE's, in the Odyssée Lab (INRIA Sophia-Antipolis) under the supervision of Rachid Deriche and defended it on december 2002. During 2003, I did a one-year post-doctoral immersion into the wonderful world of DT-MRI imaging, using variational methods : estimation, regularization, visualization, etc. DT-MRI is very interesting since it allows to compute fiber networks in the white matter of the brain. From March to July 2004, I've made a post-doc at the L3I lab, in the University of La Rochelle, working for the european project PRESTOSPACE. I've been interested in movie restoration and desinterlacing, using tensor geometry, motion estimation and inpainting methods. In October 2004, I've been finally hired as a permanent CNRS researcher in the IMAGE team of the GREYC Laboratory, in Caen. In October 2018, I defended my Habilitation thesis (Habilitation à diriger les recherches). Here are some videos related to my recent research work and collaborations. Copyrights (C) From September 2017, David Tschumperlé - GREYC UMR CNRS 6072, Image team.